Have you ever got to twirl around a maypole? I have to confess I've always wanted to - but never have. We don't really see May Day celebrations here in America. But I think it's time to bring it back. I'm going to do my part. 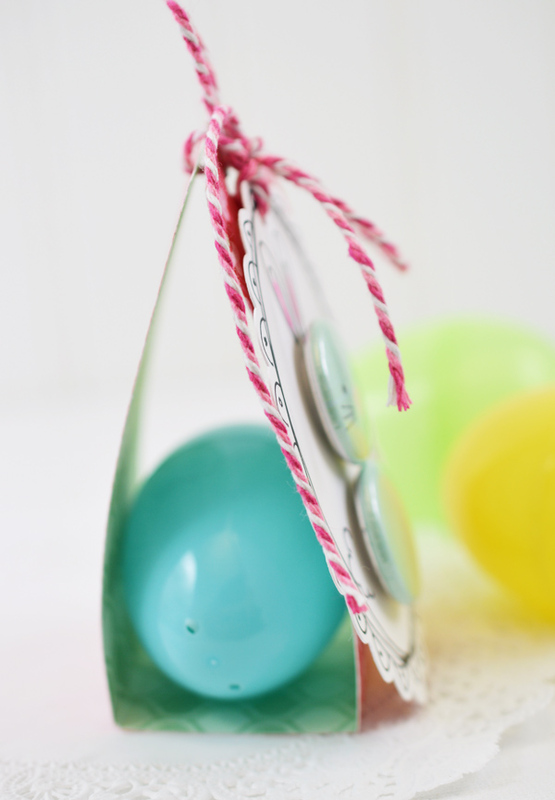 I've come up with a little treat that even has a maypole! What do you think? This was pretty darn easy to do (so I need to go make a few more to share) and it's quite festive. I simply twisted some ribbons together and stuffed them into the jumbo straw. Then I just added a flag and flower - both on toothpicks. I held it in the nutcup and poured in the M&Ms. The M&Ms are heavy enough that they hold it in place. Visit my daughter, Lauren! Her blog is Lovely. 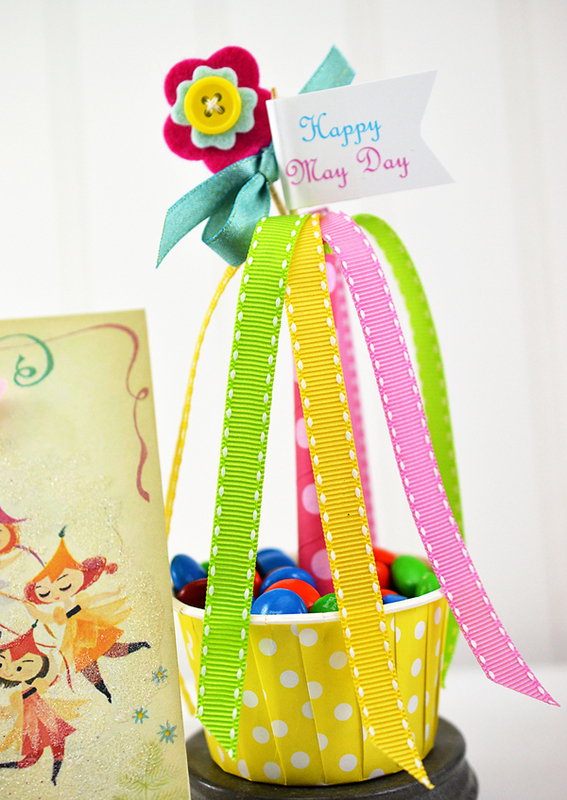 You'll find out some interesting things about May Day and get a recipe for a very pretty May Day salad. Have you ever made anything with edible flowers? I'd like to try after seeing Lauren's post. 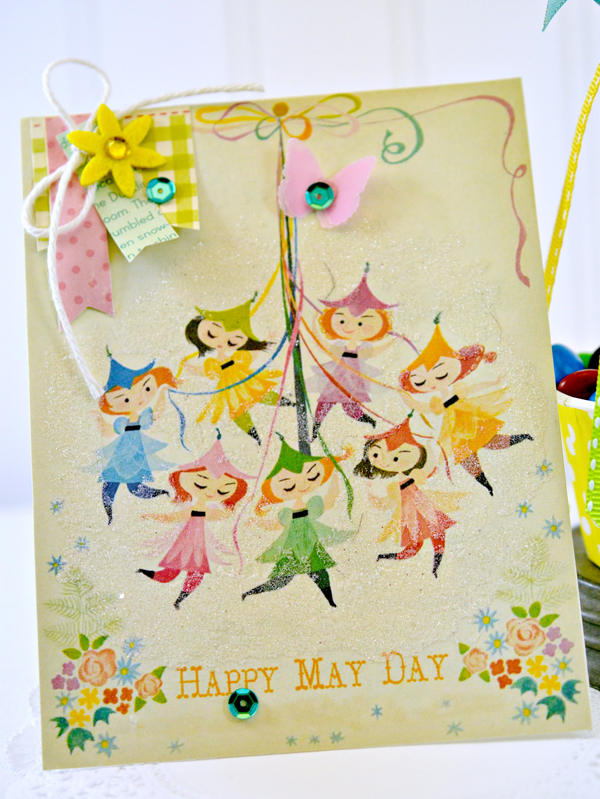 If you would like a copy of the vintage May Day image, click here. So, let me know if you celebrate May Day and what you do. And somebody find me a Maypole!! Happy May Day to you! I finally found some paper that I wanted to make my Filofax dividers out of and it wasn't what I expected. On one of my Michaels excursions, I came across some wrapping paper in the dollar bin that was also marked down 60%! My first thought was that it must be really cheap and thin, but the the patterns were pretty and unusual, so... I bought it anyway. At that price, surely it would work for something! I am still surprised, but it is really nice and it matches my Filofax! Isn't this pattern cool? 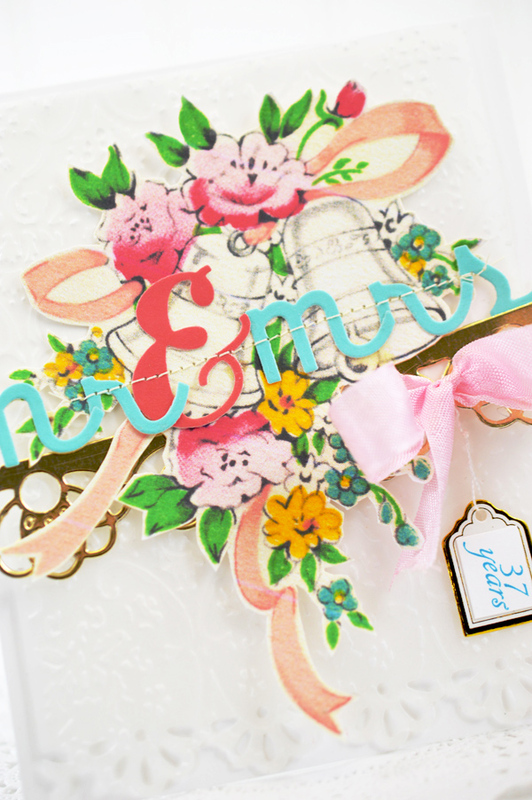 I used some Stampin' Up goodies to decorate it: Starburst Sayings, Starburst Framelits, Fun Flowers Bigz Die , Paper Doily Die. (Starburst Sayings and Framelits come as a bundle at 15% off - they are limited edition and are only available until May 31st.) If you check these out, you can also check out what's retiring, there are still a few really cool things left. 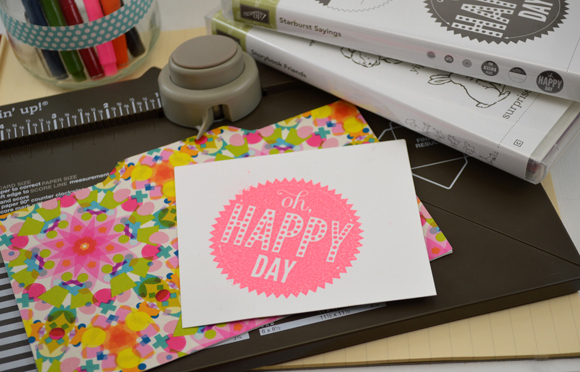 I've got a video showing how easy it is to use the Stampin' Up Envelope Punch Board to make these dividers. 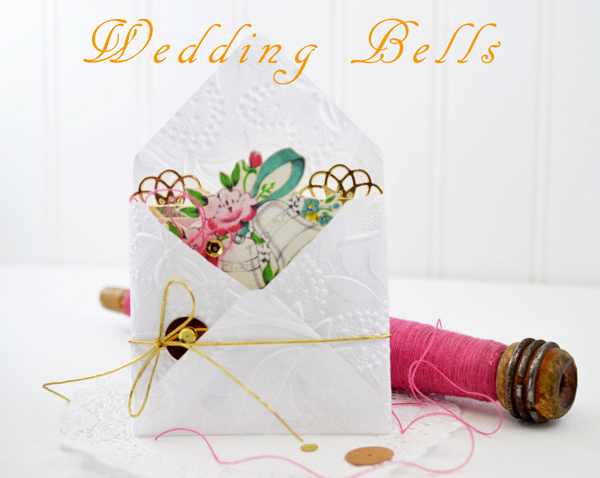 It's amazing all the things that can be done with the Envelope Punch Board: envelopes, boxes, tab folders just to name a few. 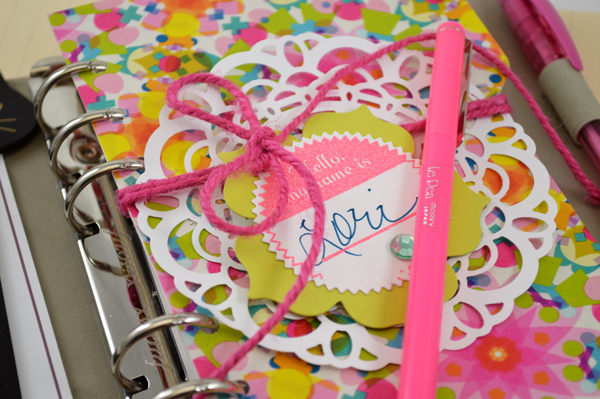 The tab folders can be used as dividers, like I'm showing, or for cards, pockets, even organizing! 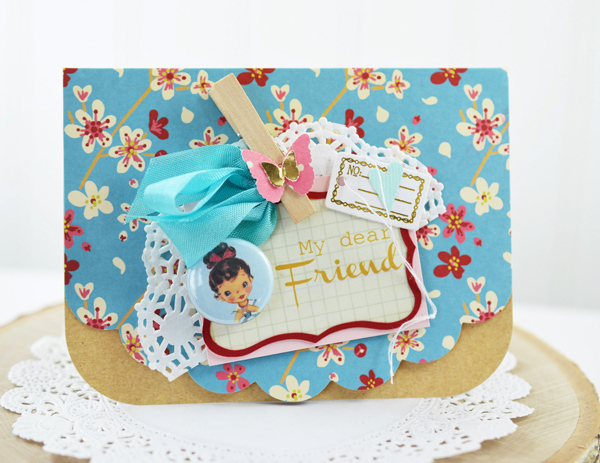 In the video, I've also got a little extra - a cute decorated paper clip using the stamp set Storybook Friends. 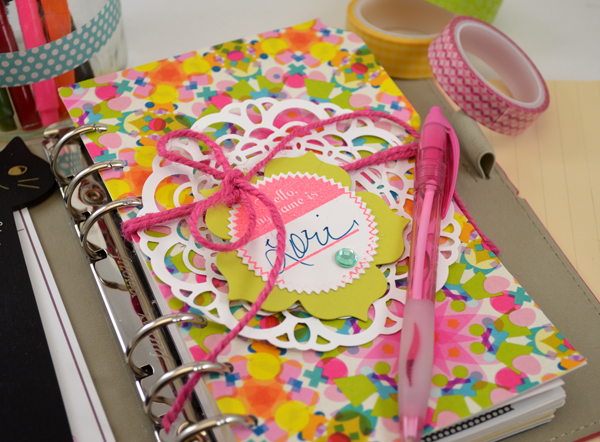 If you are interested in all things Filofax, be sure to check out Philofaxy - it is very fun! And now the winner of the Fox Gift Bundle!! Rebekah email me your address - you can use the link on my sidebar. My husband selected Rebekah's name for me this morning as he was heading off to work - he's got a deadline to meet. It seems architects are always working up to the last minute! Thank you to everyone who left a comment - I always wish I had one for you all! I love all of your ideas. Have a wonderful week! Hi, there! Guess what? I'm officially a dot com! 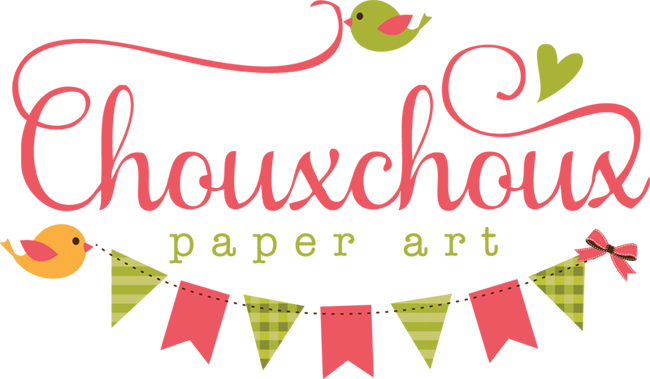 My domain name is chouxchouxpaperarts.com. 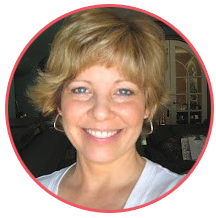 You don't have to change a thing - my blogspot address works just as well. Isn't it cool that they both go to the same spot? As you can probably tell, I'm working on my blog - oops, I should probably say I have someone helping me with my blog. Her name is Pepper from CC Blog Design and she is very good and VERY PATIENT! We are still tweaking and I haven't put a thing on my new pages yet. Hopefully I'll get to that soon. Let's have a little celebration in honor of my .com-ness! 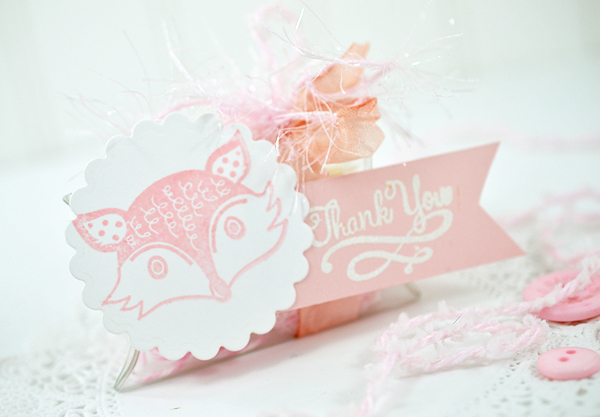 I found a darling fox stamp and set of three sentiment stamps at Michaels. You can see two of the sentiments above. I picked up an extra set to start the FOX GIFT BUNDLE! That's not all in the Fox Gift Bundle. See that fun white frame around the fox? That's from a set of Spellbinders Dies. 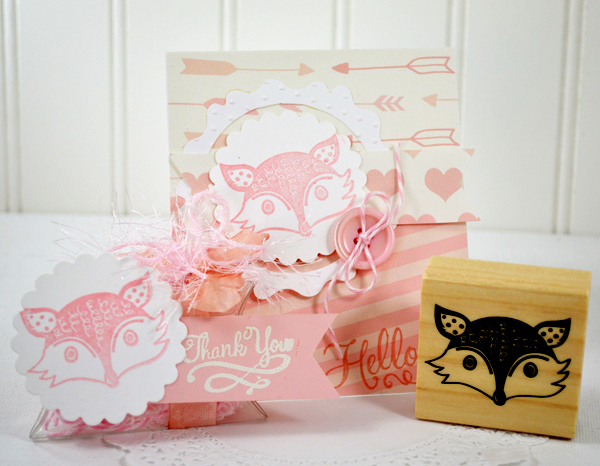 The dies are part of the Fox Gift Bundle, too! I think these mini pillow boxes are just adorable! Here's the back so you can see the clear pillow box a little better. Cute, huh? Two mini pillow boxes are included in the Fox Gift Bundle, too! 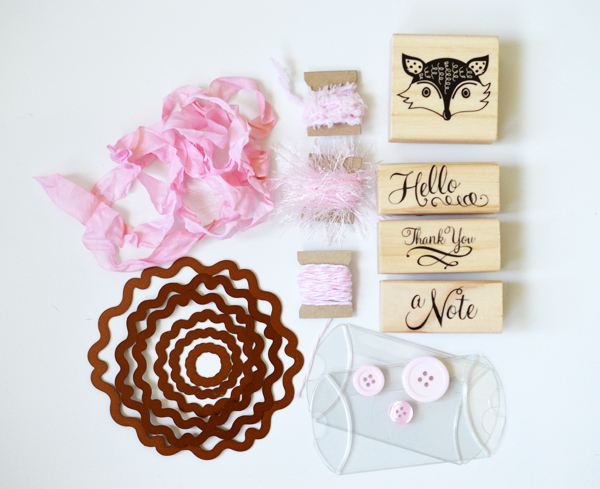 Let me know in your comment that you would like to create with the Fox Gift Bundle. It's that easy. Leave a comment by 11:59 on Saturday, April 26th. I will select one commenter by random selection and announce the winner on Sunday, April 27th. Please check back on Sunday! Especially if you have no contact info listed. Hi, there! Did you have a wonderful weekend? My sweet girl and her husband were here, so you can be sure I've been smiling! I'll bet that you're smiling at this cute image! 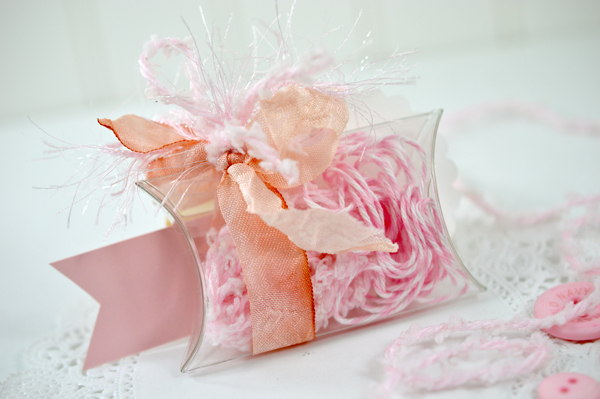 I was browsing the images over at Free Pretty Things for You and this one called my name. It is free for you right here. Keren has cutie pie images that are hard to resist - so I just don't! I'm trying to use papers that I've had around and resisting buying new ones for awhile. 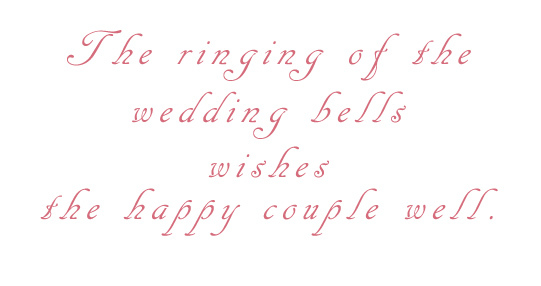 However, when I come across really wonderful digital papers, I usually snap them up. 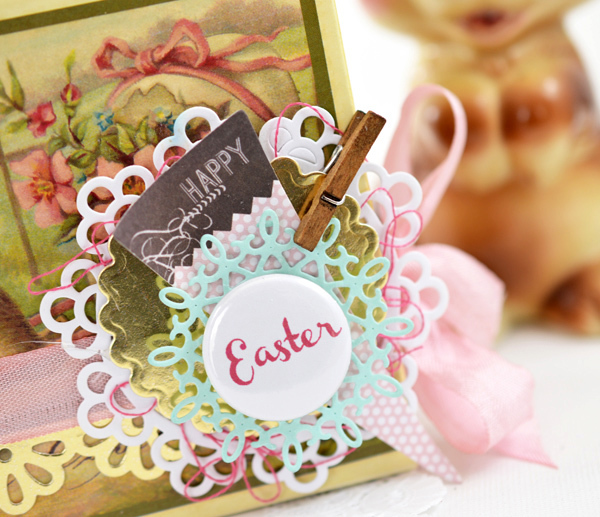 The mint and white paper (on the square circles frame) is part of a beautiful set from Grepic. 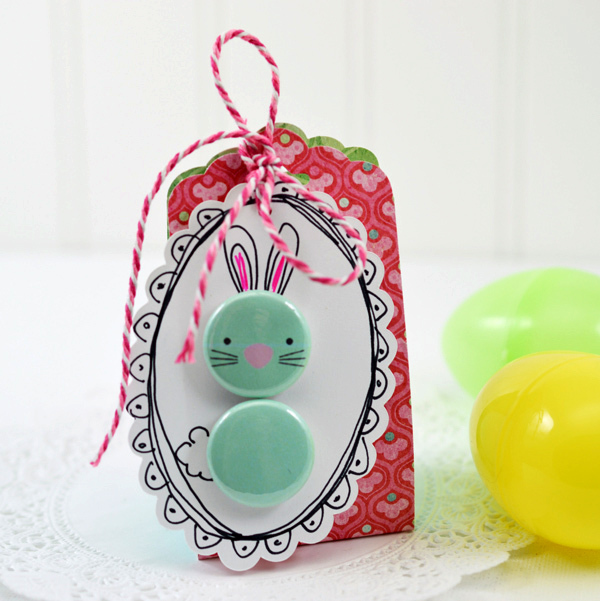 I used another pattern from the mint set on my chocolate bunny tag treat here. Hope you have a lot to smile about this week - so glad you stopped by! 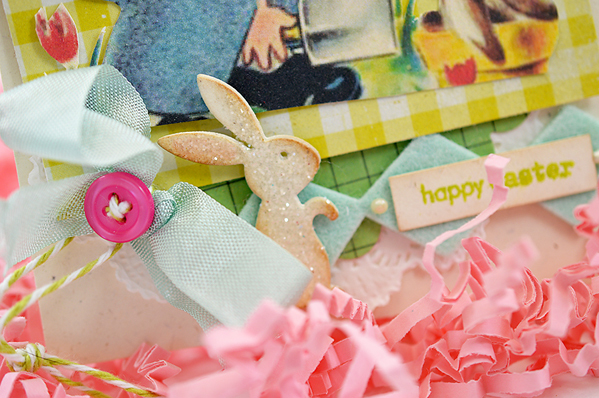 Here we go, with another sweet and cute Easter image! Don't you love that pink egg? And those cute chicks? I've had a couple of questions recently on how to create an extra tall card. 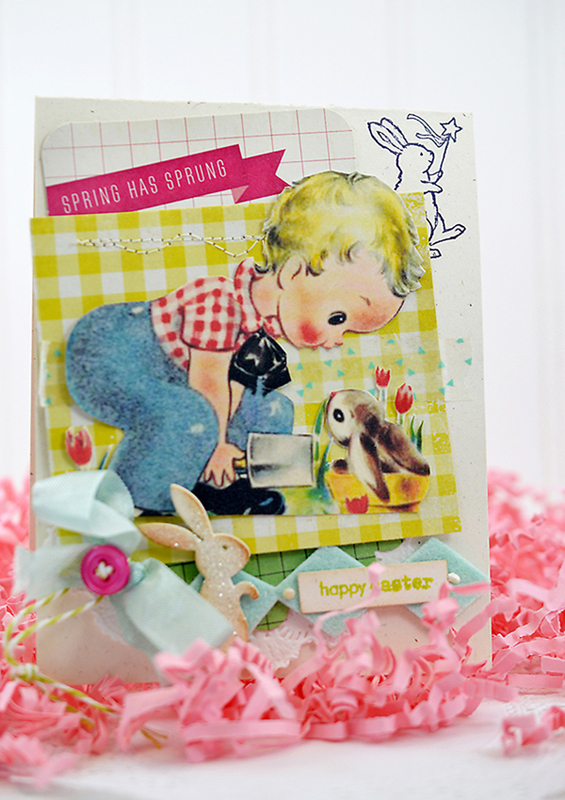 This Easter card is 6 1/2" tall and opens at the bottom. That's too tall to make with a piece of 8 1/2 x 11" cardstock. 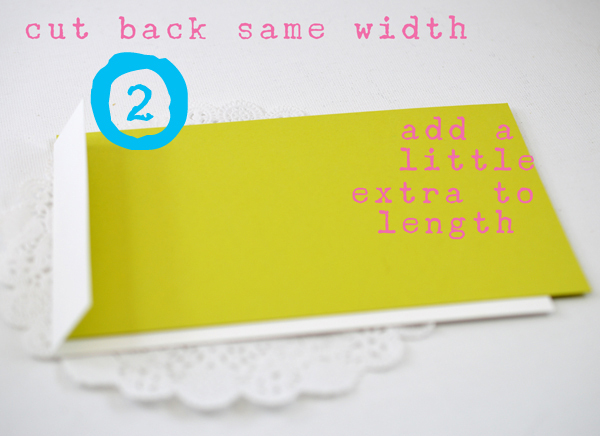 Making an extra tall card is as easy as 1 - 2 - 3. Cut the front of your card first. Add 1" to the length. If your card is to be 6" tall, cut the cardstock 7" long. Score at 6" (the desired height of the card). 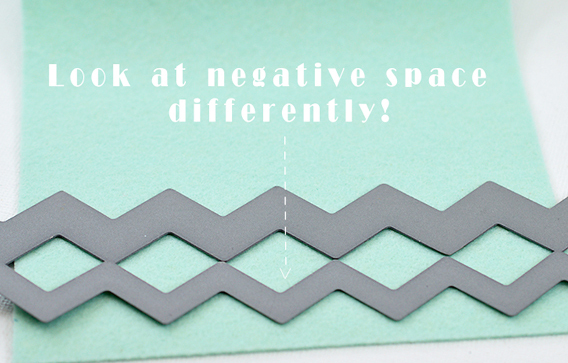 Cut a piece of cardstock for the back at the same width. I've used a different color here and offset it a little so you can easily see the back from the front. I always add a little to the length just to give me plenty of wiggle room. 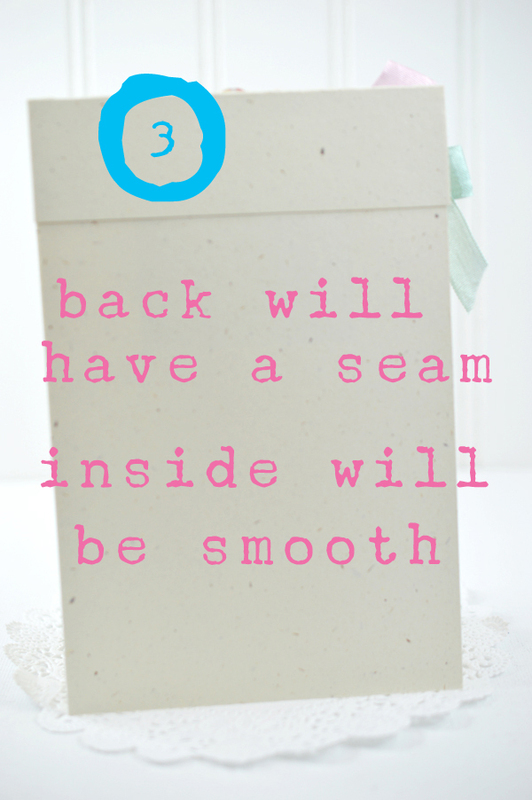 Slip the back into the fold of the front. Glue back of card to the front fold. And cut off the excess. Now you have a tall card. Easy, right? 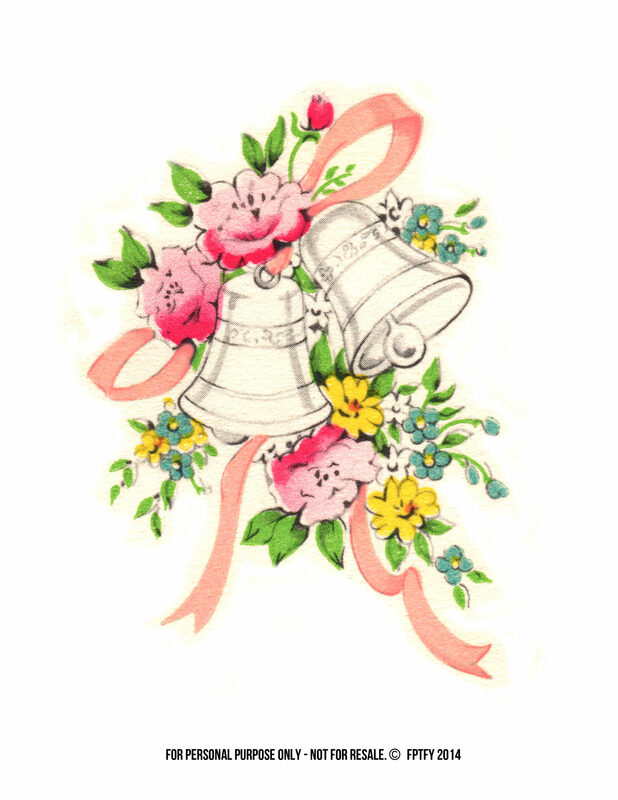 To download the vintage pink egg image, click HERE. What do you think? I think it works great for guys - and gals, too! I guess that's why I tossed a pink egg back there! 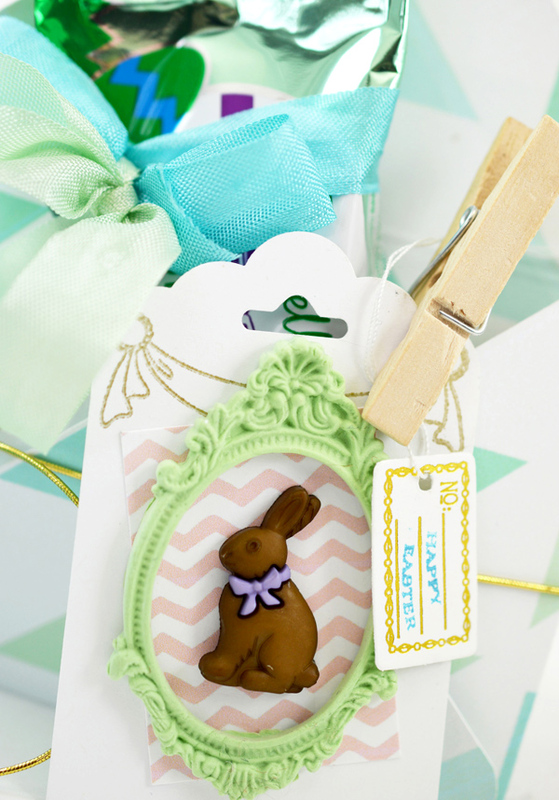 That makes this Chocolate Bunny tag very versatile. 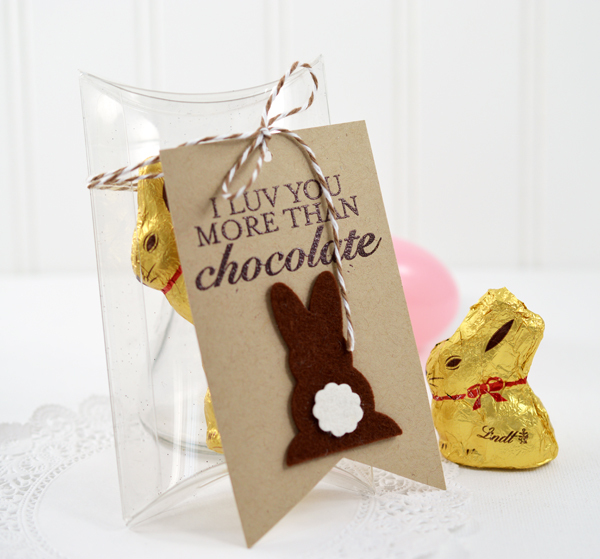 The pillow box size - perfect to hold two of those sweet chocolate bunnies - is 3" x 4". The tag size is 21/2" x 4 1/4". 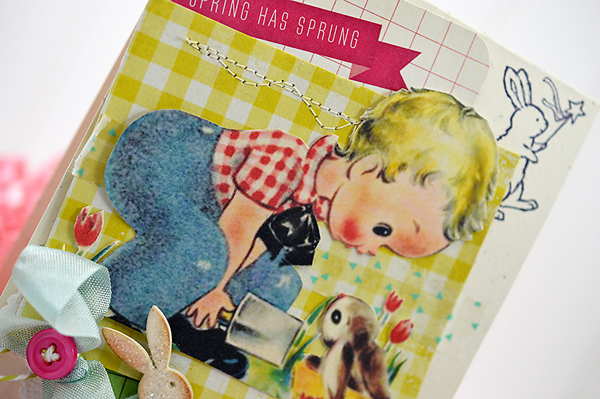 The bunny die and felt are from Papertrey Ink. 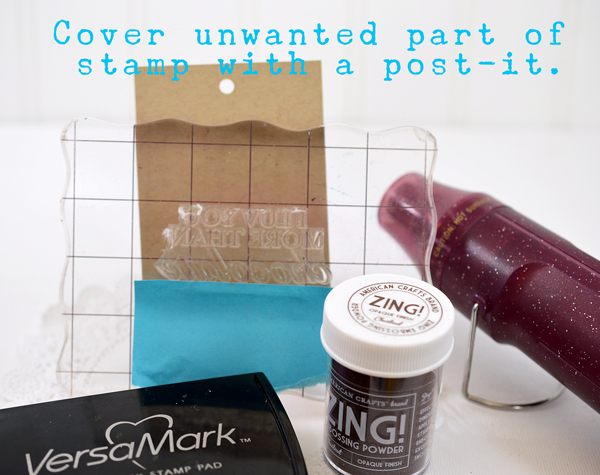 I think I picked up the Chocolate Zing Embossing powder there, too. I looked for the stamp set, but I can't find where I got it. If you know, please let me know! My guy doesn't know it, but I made an extra one of these for him! Do you have other guy ideas for Easter? Let me know...I'd love to see them! I know I've said several times that I love sweet and cute. 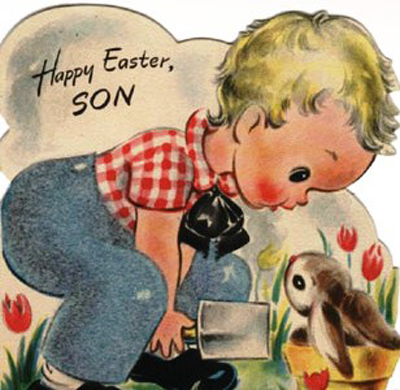 I came across this sweet vintage Easter card and couldn't stop smiling from the time I grabbed it, paid for it, and drove home. 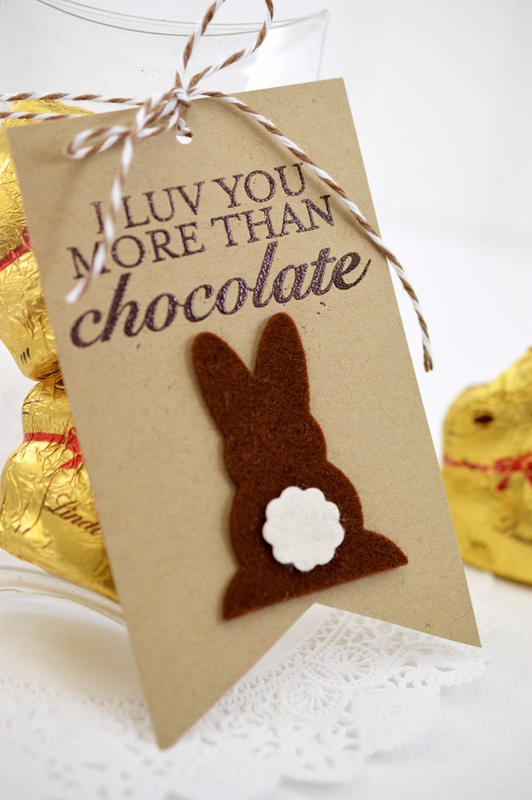 The boy and bunny fit 'sweet and cute' in spades! 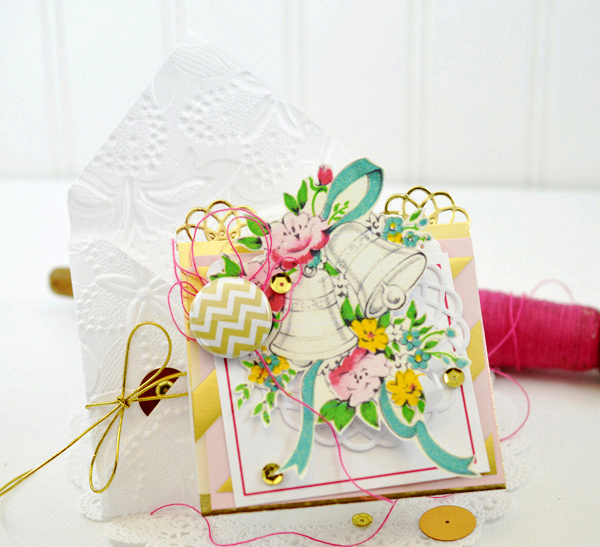 That little bunny stamp in the top corner is part of Storybook Friends from Stampin' Up and it fits my 'sweet and cute' love too! Take a closer look at the diamond border in mint felt. Not a bit of felt wasted and a cool border, too! This boy and bunny would like to go home with you, too! If you would like to have this sweet and cute image to create with, download it HERE. A little while ago, I had the most lovely invitation. 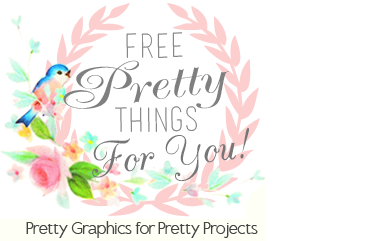 Would I like to be a contributor at Free Pretty Things for You? I didn't even have to think about it - I emailed Keren back with a very enthusiastic YES! and when do I start? 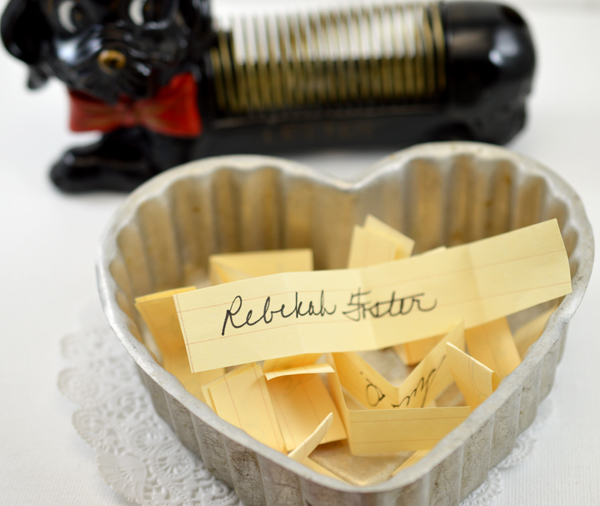 Today is the day I'm being introduced as a new contributor on the Free Pretty Things for You blog. 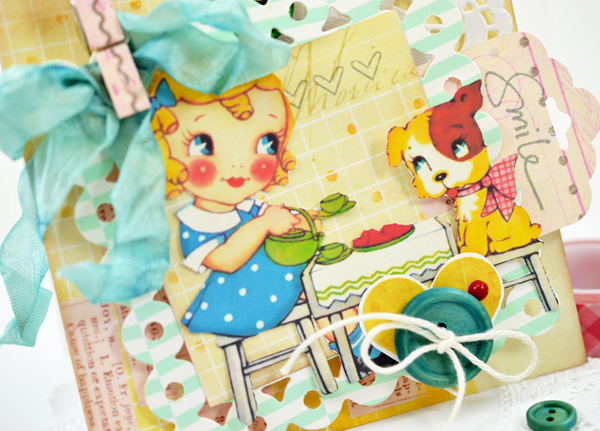 I have been a fan of Keren's for quite some time - I have so enjoyed her darling vintage images and her famous Linky Party. Such yummy things to see! I need to tell a little bit about myself - if you know most of this feel free to skip this part! I've always had projects going, but didn't really start in the paper arts until my daughter, Lauren, went off to college. She is the only child and one of those terrific children that you never want to go, so I had MAJOR empty nest syndrome. I had to have something to fill up that empty space. I know when I found paper crafting my husband, Dennis, was glad I found a hobby. Little did he know how big a part of my life it would become. I'm always busy: filling special orders, keeping my local business locations with inventory, and creating, creating, creating!! In honor of this beginning with Keren, I've got three things to tell you. Lots of photos follow! What is it? 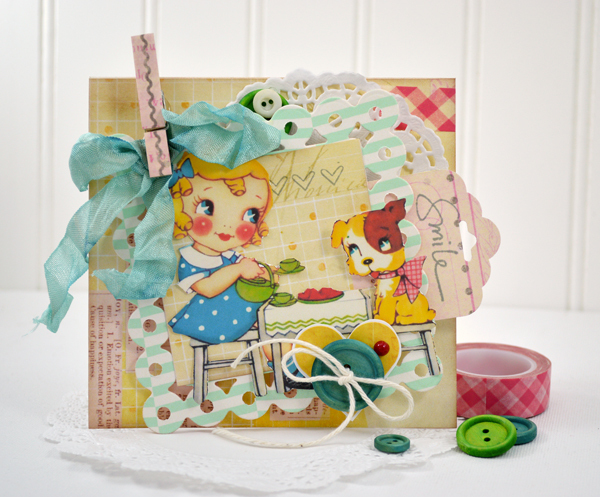 One of my new kits: Cute Girls Card Kit. What do you get? How do you win? Leave a comment! You have until Sunday, April 6th at 7:00 p.m. (central time) to leave a comment. Be sure your comment let's me know you would like to win! Winner (using random selection) will be announced on Monday, April 7th. On that day, you will want to see Keren's free wonderful image and the projects I created with it. 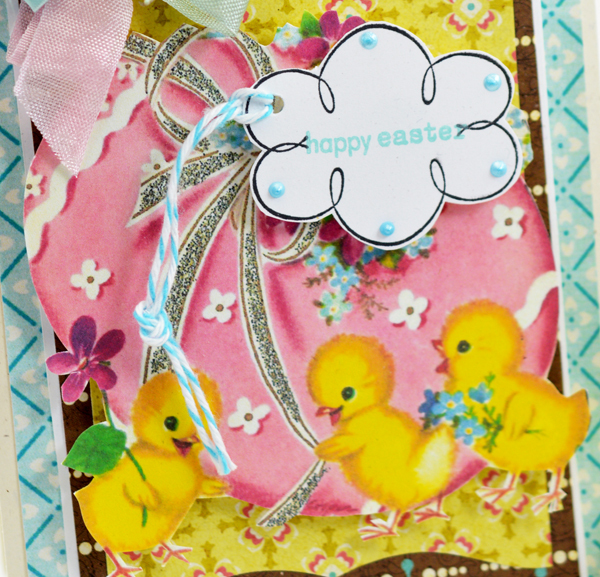 I made three projects with the Easter Kit contents. 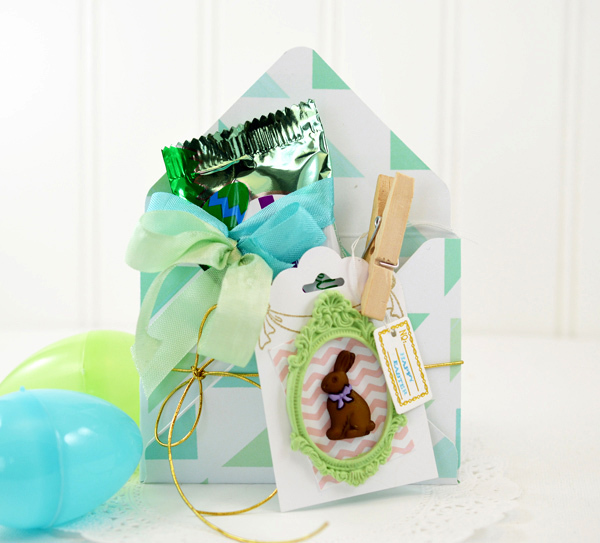 The first one is a pretty treat envelope featuring a graphic mint and white envelope, an air dry clay frame and chocolate bunny. You get everything for this project (except the candy and adhesive). 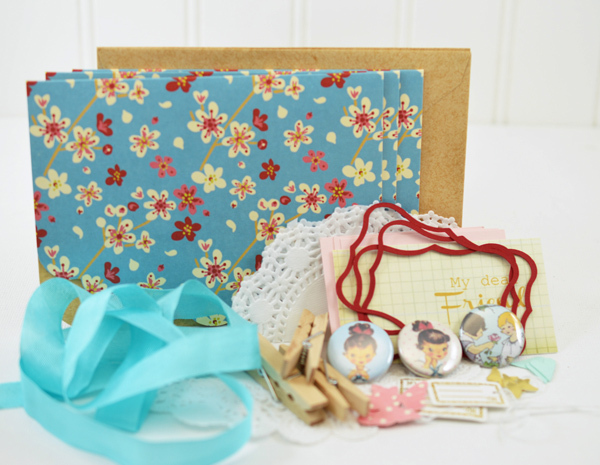 It is whimsical with the bunny pins and hand drawn doodle frame. I have a quick video with a tip for an easy way to create the doodle frame. What do you think? Fun and easy, right? Okay, just to wrap up: visit Keren at Free Pretty Things for You and at her Etsy shop. 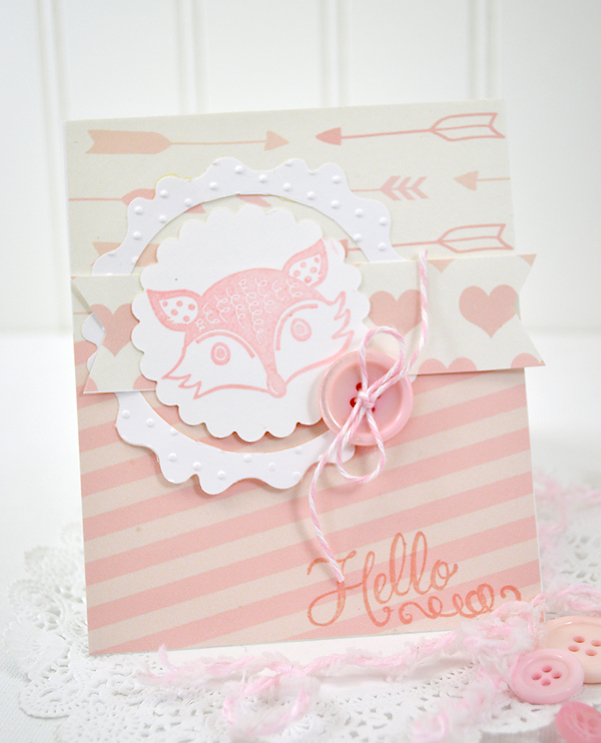 If you would like to win the give away, Cute Girls Card Kit, leave me comment. 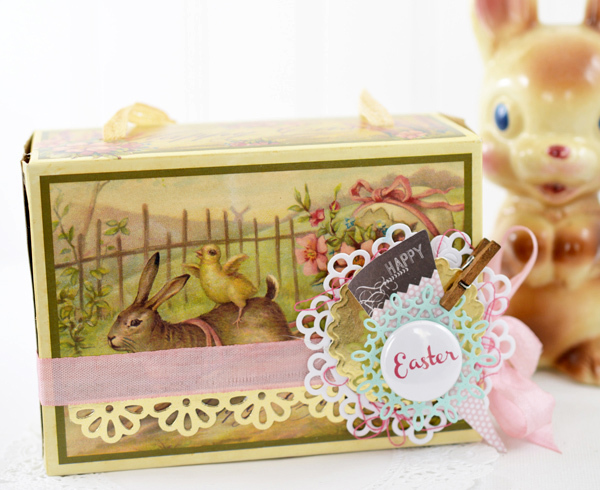 If you would like to see all the contents of the Easter kit (and/or to purchase), visit my etsy store.